This page presents information on the climate of Normandy - specifically for the town of Caen. 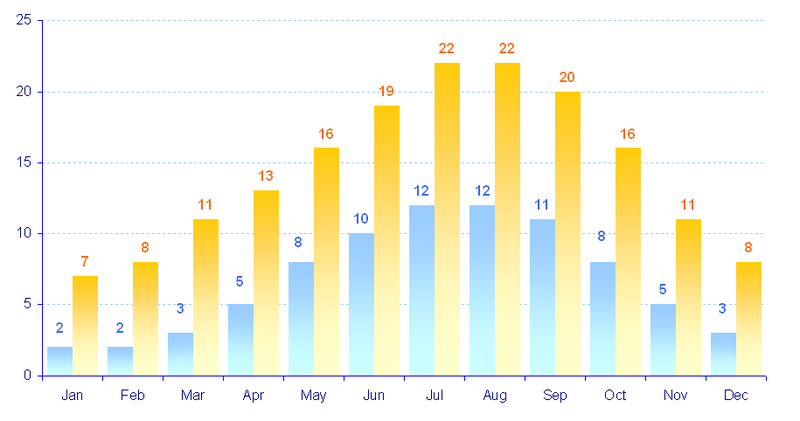 The average temperature throughout the year is shown below in °C for the town of Caen, in the departement of Calvados. Click on the chart to see it in a larger format. The average maximum and minimum temperatures throughout the year are shown below in °C for the town of Caen, in the departement of Calvados. 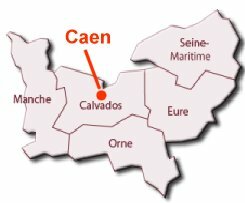 The average hours of sunshine a day is shown below for the town of Caen, in the departement of Calvados. The average rainfall throughout the year are shown below in millimeters (mm) for the town of Caen, in the departement of Calvados. The average number of days when there is some rain throughout the year is shown below for the town of Caen, in the departement of Calvados. “Some rain” is defined as there being at least 1.0 mm of rain during the day. Disclaimer: While the accuracy of the information presented on this page has been checked, it is intended for guidance only. If data is required for scientific purposes, and with a guarantee of accuracy, please consult an official agency. Please note too that there are considerable variations in climate across the Normandy region. 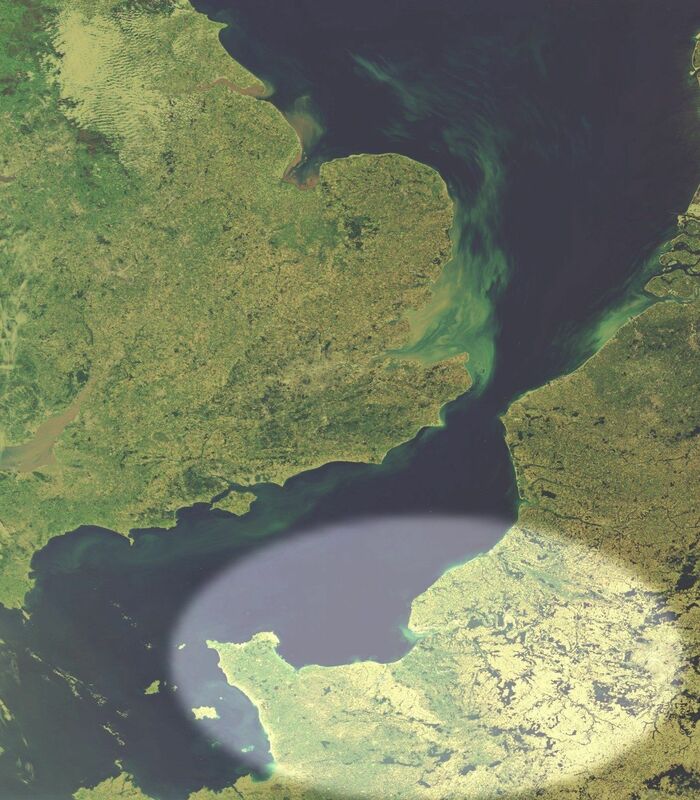 The climate in Cherbourg, for example, or in Le Havre or Rouen, will show significant variations from that in Caen.